Just Practicing − Regeneration management, development management and public health – are they learning enough from each other? Regeneration management, development management and public health – are they learning enough from each other? I have no idea how this line of thought started really – and in some ways I don’t know if I want to explore it in depth – but today I found myself getting quite frustrated that there doesn’t appear (on the surface) to be as much inter-disciplinary learning and synergies as there could be between regeneration management, development management and public health. They seem quite siloed in perspective. 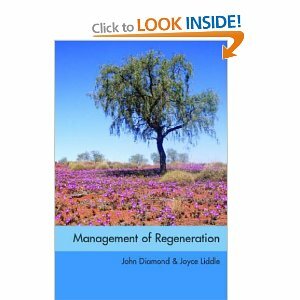 Not really where it is going to take me, but I’ll start off by exploring what those terms mean…..
Let’s start with regeneration management – and for this I am drawing my knowledge from a book I bought and read a while ago by Diamond and Liddle (2005). Looking at it now, I notice that it doesn’t actually provide explanations of the word ‘regeneration’ or the phrase ‘regeneration management’! But in essence it is concerned with the management of activities that ‘bring back to life’ areas that are perceived to have ‘declined’ in terms of their liveability. These areas include larger concentrations of people who are unemployed, low skills and so on. And this is also reflected in poorer lifestyles, poorer wellbeing health and shorter lifespans of those living there. So regeneration can involve interventions aimed at the physical environment (like housing improvement or improvement of the public realm); the economic environment (like business stimulation and growth); the socio-cultural environment (like community development; community cohesion) and individuals themselves (such as skills development; or lifestyle behaviour change). ‘Regeneration’ is often driven by large programmes of relatively time limited monies. Diamond and Liddle’s premis in the book was that those involved in managing regeneration need to respond to a changing context by learning new skills and competences. They particularly emphasise the need to strategise in complex environments, to engage with communities and facilitate capacity building and to work collaboratively and in partnership. regeneration focusses on ‘poor’ geographical areas in ‘high’ income or ‘developed’ countries. the sorts of things that regeneration seeks to achieve can all be seen as actions on the social determinants of health – living, economic and social settings which interact to influence the wellbeing and health of individuals (both directly and indirectly via the ‘lifestyle’ behaviours they often use to cope with this). Now moving onto development management. Development management has its roots in intervening in ‘low’ and ‘middle’ income countries – the idea is to develop those countries to improve the quantity and quality (and maybe the equality) of life of people living there. At a macro level, huge global programmes create ambitions like the Millennium Development Goals – all about reducing poverty, reducing child mortality and so on. At a micro level, small rurally based development interventions working participatively with communities to build their capacity to improve their lives. I studied Development management (TU870) as part of my masters studies with the Open University. The primary working definition they used was “the management of intervention aimed at external social goals in a context of value-based conflict”(OU, 2005). They note that the word ‘intervention’ is about influencing social processes, rather than meeting goals directly and recognise that the multiple perspectives about what is required will result in value-based conflict. There is also a big emphasis on process – the right participative process is in effect a development intervention in itself, regardless of the ‘topic’ being worked on in that process. I also really liked the idea that ‘development’ is happening anyway, whether you intervene or not there is still a dynamic set of interactions going on that results in societal/social change – really all you are doing is intervening in the ‘hope’ that this change is prompted in the direction that you perceive as desirable (or at the very least away from what you perceive as undesirable). It is worth saying here that the Development Management texts do use examples from the North (‘high’ income countries) and those examples are all regeneration initatives – so through the lens of development management, regeneration is one and the same set of practices. The practices are concerned with capacity building, sustainability, working with people and helping them to make improvements – in the South this could be to dig and maintain their own well for fresh water, in the North this could be to make over a piece of derelict land to turn it into a play area or a community edible garden. Within the ‘lens’ of their respective contexts, these will both be interventions that improve wellbeing and health. What I think is interesting is how the nature of funding for development management seems to recognise the need for slow processes, for formative evaluation and long term impacts. I’m not sure whether in the UK funding for regeneration has been as sophisticated under New Public Management that emphases performance management models drawn over from ‘business’. Even the UK Department for International Development’s Tools for Development Handbook doesn’t get recommended and used by Department for Communities and Local Government. Now onto public health. Interestingly, given the job I do, I am finding this harder to describe! ‘Public health management’ isn’t really a term, like regeneration management or development management. In the UK, the accepted ‘job titles’ are public health specialist or public health consultant – reflective of the profession being part of the NHS (until a few weeks ago). But, (drawing on Earle et al, 2007) I acknowledge a multi-disciplinary public health that draws on its diverse historical origins – medicine with a bio-physical focus; health education with a ‘literacy’ focus; health promotion with a settings and empowerment focus; healthy public policy with a political focus; environmental health with a sanitary focus! And, maybe now we focus more on the social determinants of health, we need to include in there regeneration with a socio-eco-environmental focus!! Those concerned with global health patterns already link across to international development – in fact there are some UK based Masters programms on International development and public health. that evidence can be that of values and political preference (as well as that derived through ‘scientific’ means). The links between public health and regeneration aren’t new – at least in the written world if not the practice one! This booklet on Public Health and Regeneration was written by the then Health Education Authority and the LGA in 2000 (although the policy environment is no longer relevant, it is still an interesting skim!). 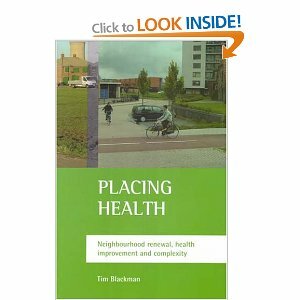 Placing Health: Neighbourhood renewal, health improvement and complexity – another good read – was written by Tim Blackman in 2006. So why doesn’t it feel that joined up and interdisciplinary in practice? I wonder if this is more of a struggle of discourse and power – is having a job a means or an end; is having a good home a means or an end; is wellbeing and health a means or an end. In a world of siloed drivers and siloed measures of success – who is working to achieve whose outcomes and targets – does regeneration fail because health isn’t improved or do health inequalities persist because regeneration doesn’t work properly. Different perspectives on these questions often result in value-conflict or underlying struggles on ‘who is the lead’ or ‘who is accountable’ and ‘where should the money go’. In a world of complexity, it may be better to accept that these things mutually construct each other. They are all means to the others’ ends. And ultimately, the core issue that cropped up in all three of these ‘disciplines’ was the importance of capacity building and empowerment. We may get a lot further, if we stop squabbling about professionally defined outcomes, solutions and services, and get in there to facilitate the process of people taking control over and improve their own lives by whatever definitions of improvement they themselves come up with. Ooops just realised I didn’t answer the question that started this blog!